Just get a Galaxy S9 or Galaxy S9 Plus? I like to customize my Galaxy S9 and Galaxy S9 Plus. Samsung’s Touch Wiz user interface has gotten better over the years but it’s still a bit heavy for me and not as customizable as I would like. 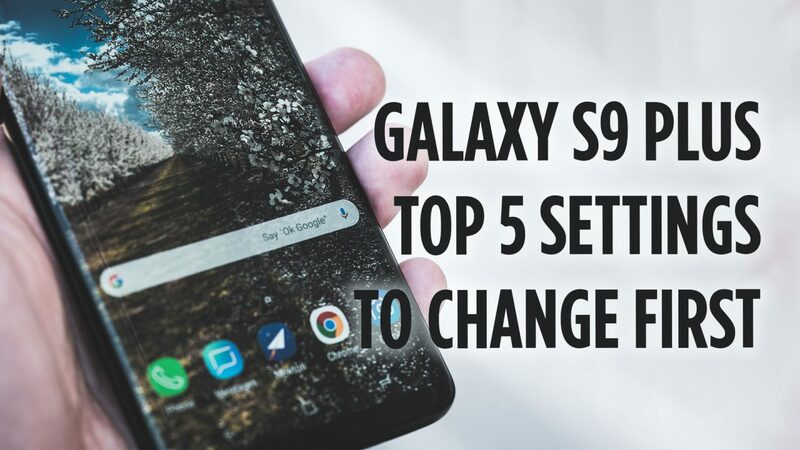 In this video, I discuss and show off the top five settings I changed first on my Samsung Galaxy S9 Plus. Here are the 5 settings I changed first on my Galaxy S9 Plus. 4. Adjust Quick Change Settings: Change brightness bar to show on top, organize toggles by need. What is a setting or change you made to your Galaxy S9 Plus? Let me know in the comments section below.